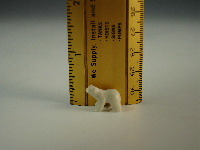 Highly detailed Polar Bear in perfect proportion. 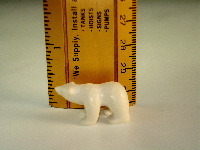 At just a half inch high, Douglas's miniatures are highly prized collector pieces. 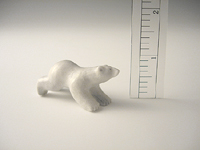 You won't find detailed and proportioned Polar Bear sculptures smaller than this! 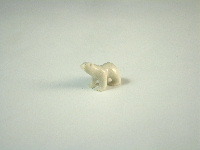 Highly detailed Polar Bear in crawling position.